One of the mostly costly aspects of eating a high carb, raw food diet is undoubtedly the price of obtaining quality fruit. We all like to indulge with the best possible produce but this, at times, can be expensive. Why Do Raw Foodists Go Back to Cooked Foods? 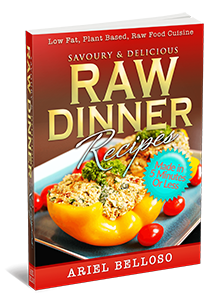 This may come as a surprise to you, but I’ve seen this phenomenon time and time again; people get healthy eating a raw food diet and after some time, they slowly fall back into eating cooked food. It doesn’t obviously apply to all raw foodists, but it does so to a large number of people. Did you know you could get rid of powerful additions simply by changing your diet to raw foods and learning some basic psychology? In this short article, I’ll cover some of main topics of this new approach in the hope I can illuminate others to make the right change. In part 1 of this article, I went into detail about how to quit eating the wrong foods in order to increase the quantity of healthy raw food you consume – and how to do it correctly. This is one of the most common questions I get: why don’t you recommend oil, even olive oil? I can understand feeling frustration when you try to remove something from your diet, it happened to me too in the past, but we must examine the issue of consuming oils objectively. Are smoothies always healthier than juices, and if not, in what circumstances should you drink juices versus smoothies? Let’s answer this tricky question. Now, smoothies, and especially green smoothies or smoothies with all kinds of powders are all the craze. They say, “A picture is worth a thousand words,” so I thought I produce a collage of images, showing my transformation; before going into a raw food diet (age 39), a year later (age 40), and ten years later subsequently (age 50). When you’re starting a raw food diet, you need to be sure you have learned enough about nutrition, and more specifically, about raw foods, that you can achieve sustainable success. Do you ever feel bloated like a hot air balloon after eating? Or sluggish and heavy? Many of us do – and even though it’s common, feeling digestive discomfort or fatigue after eating isn’t normal. In fact, after you eat, you should feel energized, refreshed, and ready to take on the world. Is Your High Fat Diet Killing You? 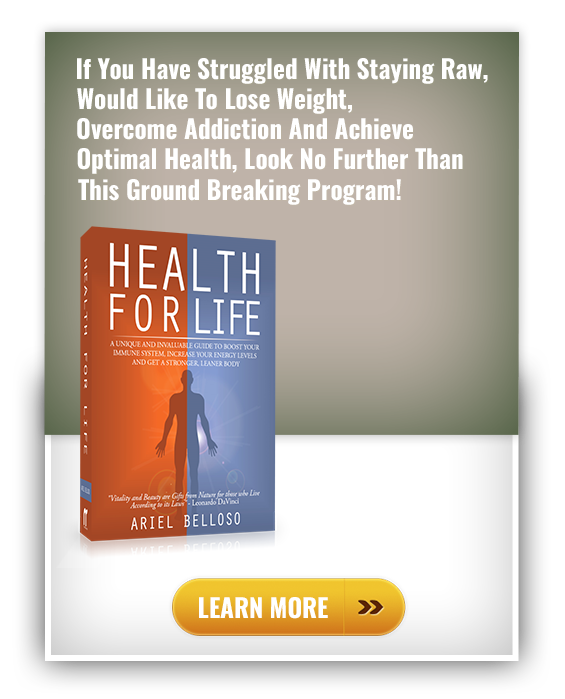 When I started my journey into raw foods, I noticed something extraordinary.